The exact method of integration varies from product to product, however Winshuttle has achieved certified SAP certified integration for several products. SAP’s integration certification ensures that a third-party solution truly integrates with an SAP product or technology. Although Winshuttle products reside outside of core SAP systems, they use many standardized methods to communicate with SAP such as using SAP Remote Function Calls (RFC) to upload and download SAP data. Winshuttle products establish a secure connection with the SAP system using the user’s SAP log-on to create, change or retrieve data in SAP systems. Tested by SAP, both Winshuttle Studio Transaction scripts and queries use methods that are recognized by “SAP Certified Integration – Powered by SAP Net Weaver” certifications. Winshuttle works with the latest versions of SAP ERP and is SAP certified for integration with S/4HANA for both Studio and Foundation products. As an SAP partner, Winshuttle products on the SAP App Center are certified as enabling businesses to connect Microsoft Office with the SAP Business Suite. Winshuttle uses RFCs and other methods to interact with the application layer of the SAP system. Winshuttle Studio and the Winshuttle SAP Integration Services (SAPIS) call SAP transactions, BAPIs and function modules on SAP ERP to support real-time synchronous communication between Excel, Access and web forms and the SAP system of record for reliable SAP Application Data Management. The receiving SAP system must be active and able to accept and process RFC calls if these are used, and the user must be authorized to make calls over RFC. You can learn more about the SAP RFC API at help.sap.com. How does Winshuttle Foundation integrate with SAP? 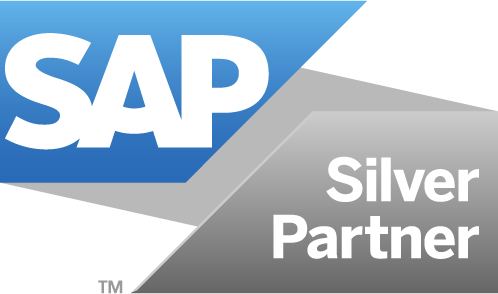 Winshuttle products integrate with the SAP Business Suite using SAP certified methods. Transaction recordings, queries and BAPIs communicate using RFC. GUIScripting based scripts leverage the SAPGUI to communicate with SAP systems. Foundation has an integration server component that communicates with SAP. When only User Governance is deployed, the integration is from desktop applications. How does Winshuttle Studio integrate with SAP? Winshuttle uses a .NET RFC connector to connect to SAP systems over RFC. This connector is not the same as the SAP .NET connector. It’s a lean .NET assembly that supports a robust SAP interface without any elaborate infrastructure or additional middleware. This discrete API is available for every type of SAP object that can be invoked over RFC. It also allows Winshuttle to make products that have effective design and interface implementations without the user needing to understand the complexities of the SAP application architecture. Which versions of Winshuttle products are SAP certified?